Posted on March 20, 2019 by Mia T.
Caraval, by Stephanie Garber, begins with Scarlett Dragna, who lives on a secluded isle with a cruel father who uses his daughters’ love for each other to control them. Whenever Scarlett does something wrong, her father punishes her sister, Donatella (Tella), instead. Scarlett banks her and her sister’s safety on her upcoming arranged marriage to a count whom she has only conferred with through letters. For years, Scarlett has written to Legend, the mysterious master of Caraval, hoping that he will bring his extravagant performance to her isle. Finally, when Legend writes back with three tickets to Caraval (which will be taking place on a magical island this year), Scarlett thinks she Tella would be better off not going. However, Tella has other ideas. Far more bold and far less of a worrier than her protective sister, Tella and a strange sailor, Julian, conspire to bring Scarlett away from their father to the island where Caraval will be that year. When Tella suddenly disappears, Scarlett, who would do anything for her sister, begins to find that Tella has a greater part in Caraval than Scarlett had known. The only way Scarlett knows of that will reunite her with Tella is to win Caraval. Caraval is Legend’s once-a-year performance which takes place over the course of five nights. Ticket holders can choose to either watch or play the game. The year Scarlett plays, the stage is a village, where the audience members who have chosen to play the game stay. Each night, Caraval fills with magic and illusions, and the players search for clues to guide them to the final prize. Scarlett finds herself in a performance where reality is blurred; it becomes difficult to differentiate the real people from actors who are simply playing parts in the game. 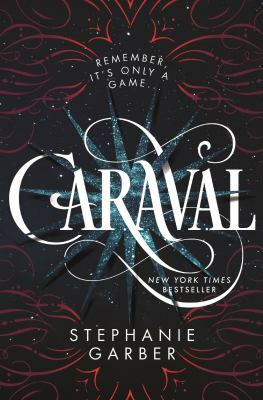 With Stephanie Garber’s beautiful descriptions and elegant characters, Caraval is one of my favorite young adult books. I particularly enjoyed reading from Scarlett’s perspective because her personality is not necessarily standard of a fantasy novel’s heroine, but her love for her sister motivates her throughout the book. By the end of Caraval, she has noticeably grown. Scarlett also describes senses and feelings with color, and the vivid imagery that results is magical. The story of Scarlett and Tella is continued in Legendary, which is written from the perspective of Tella. Caraval’s fantastic characters, vivid descriptions, and unanticipated turns make the book so difficult to set down. Stephanie Garber’s exquisite writing is a wonderful gift to read, and I highly recommend Caraval. Caraval by Stephanie Garber is available for checkout from the Mission Viejo Library. It can also be downloaded for free from Overdrive. Join the MVL Teen Voice! Taking all applications! By joining the blog, you’ll earn community service hours for school, college, and beyond! Visit the Mission Viejo Library website for more information. Enter your email address to follow this blog and receive email notifications about new posts.